Remember the kitchen you grew up with? It was on the small side, with a refrigerator, range and maybe a dishwasher. (Or maybe you were the dishwasher.) It worked just fine for your family, but got crowded on Thanksgiving and other special occasions. Usually company gathered in the living room. Now look at today’s kitchen. It’s the gathering space, the soul of the home, where cooks exercise their creativity on responsive appliances, and guests savor the finer things of life. It’s the showplace of the home too, with a multitude of exquisite design materials replacing the homespun cupboards and bright linoleum you remember. Where’s the refrigerator? Often invisible, hidden within fine cabinetry. What caused this transformation? Changing lifestyles. Greater disposable income. And seventy years of innovation from Sub-Zero. When Westye Bakke began experimenting with refrigeration in the 1930s, it was in part to find a better way to store the insulin his young son Bud needed for his juvenile diabetes. Existing freezers didn’t do a reliable job of preserving food, medicine and other necessities. Westye set out to find a better way. In 1943, he built his first freestanding freezer out of scrap metal in his basement, bending the coils bare-handed. And in 1945, launched Sub-Zero Freezer Company, introducing the first system for preserving food at ultra-low temperatures - literally sub-zero. The company would quickly establish a reputation for quality and innovation. Most homeowners might be satisfied getting several years of service out of an appliance. Inspired by Westye’s desire to build the best, Sub-Zero has always set its sights higher. Our products are built in our own American facilities, where we can control every step of the manufacturing process. The materials are premium grade, the technologies state of the art, and the craftsmanship of the highest caliber. Products are subjected to lab testing under extreme environmental conditions. Every component of every product is tested before assembly, then each finished product is tested for reliability before shipping. Over the years, the legendary reliability of Sub-Zero appliances has given our customers the confidence to invest not merely in a kitchen that meets their needs, but one that fulfills their highest aspirations in both function and design, and brings them a lifetime of satisfaction. Ever since Westye’s earliest pioneering efforts, we’ve never stopped searching for ways to keep your food (and even wine) as fresh and delicious as it can be. We pioneered the dual refrigeration system, which relies on two separate, self-contained cooling systems to keep fresh food fresher and preserve frozen food longer. We also developed an air filtration system inspired by NASA technology that scrubs the air of ethylene gas, which hastens food spoilage, and also reduces odors by removing bacteria, mold and viruses. The very doors on a Sub-Zero refrigerator are special, with seals so secure that even after power outages of multiple days, owners report no thawing of their frozen foods. Inspired by Sub-Zero, many families are eating fresher foods – shopping the farmer’s market rather than the supermarket – because they know the food will last far longer, with less waste. At Sub-Zero, the function has always come first. But in the case of dual refrigeration, that function led to a form that became one of the most imitated home product designs ever: the classic Sub-Zero look with its bold, louvered grille over the dual compressors. Through the years Sub-Zero has expanded its design leadership with integrated refrigeration that blends in seamlessly with the décor. No longer does any kitchen have to suffer the dubious aesthetic of a freestanding refrigerator – considered “the elephant in the room” of kitchen design. 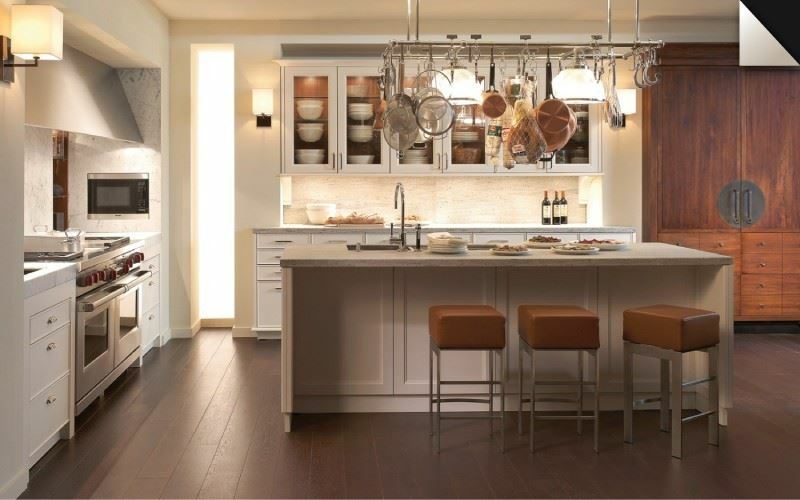 Your kitchen can have the same inviting custom look as the rest of your home. It can be literally anything you want it to be, with the countless choices of Sub-Zero. Our design approach impressed even legendary architect Frank Lloyd Wright, who commissioned Sub-Zero equipment for the visionary homes he designed. In 2000, Sub-Zero introduced Wolf cooking appliances, bringing professional temperature control into the hands of home cooks with an ambitious 50-product launch. 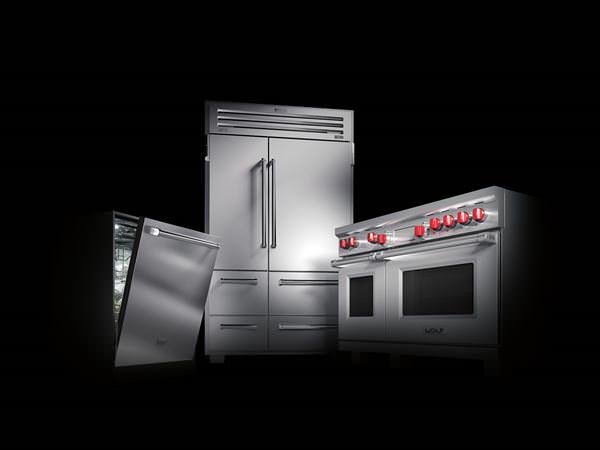 Refined through more than eight decades in commercial kitchens, the technology, durability, and design of Wolf (and Wolf Gourmet countertop appliances) make it the ideal kitchen companion to Sub-Zero. In 2018, Sub-Zero introduced Cove dishwashing, the culmination of decades of research, testing, and technology to ensure sparkling clean and dry dishes with every near-silent wash. Like Wolf, Cove was created in the same spirit of quality and innovation as Sub-Zero – and similarly serves as a single-minded kitchen specialist. What would Westye Bakke think, if he browsed through the stunning kitchens in our Kitchen Gallery? They reflect the continuing innovation of the company he started, as well as the unlimited imagination of the designers, architects, builders and homeowners we’re privileged to work with. Like any company, we’re gratified with the success we’ve had, and the genuine pleasure we’ve brought to so many Sub-Zero, Wolf, and Cove owners as they enjoy life in their new kitchens. But we know Westye would never forgive us if we rested on our laurels. 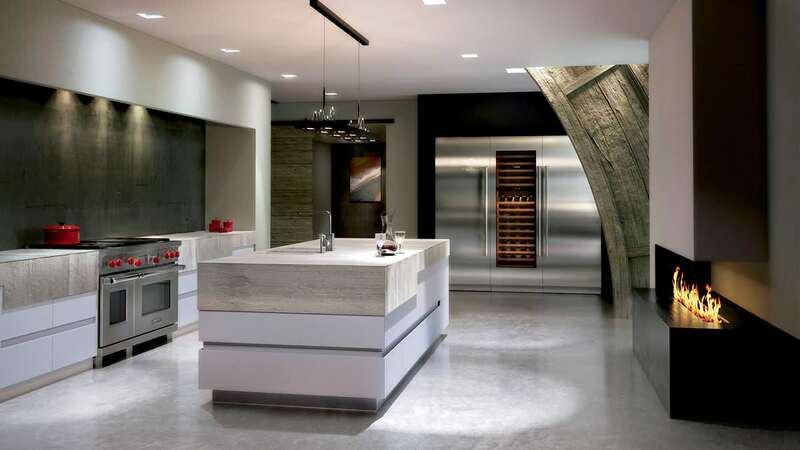 Besides, we can hardly wait to see what the next generation of Sub-Zero, Wolf, and Cove kitchens is going to look like. "if you build a quality product, you will always have customers"